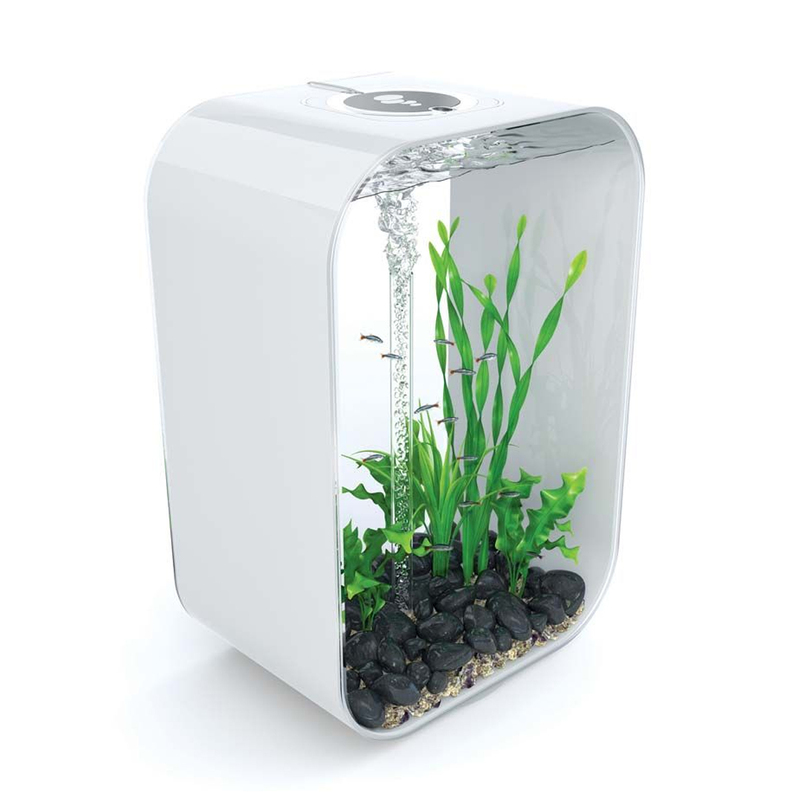 The BiOrb Life 45 Litre Aquarium is a compact but very practical choice for housing small temperate fish in style. Featuring a curved design and including energy efficient components, the BiOrb Life 45 Litre is the perfect choice of fish tank for any fish enthusiast. With a built in biological filtration unit and low voltage Intelligent LED lighting, the BiOrb Life 45 Litre provides everything needed to quickly setup and maintain your aquarium. The air stone and air pump (included) provide oxygen to the aquarium through aerating the water and creating movement inside of the tank. The LED Intelligent Light unit allows you to enjoy your aquarium during the day and at night with a 24 hour light cycle which simulates day to night lighting. During the day, the light is a natural white which shows off your fish's bright and vibrant coloration. 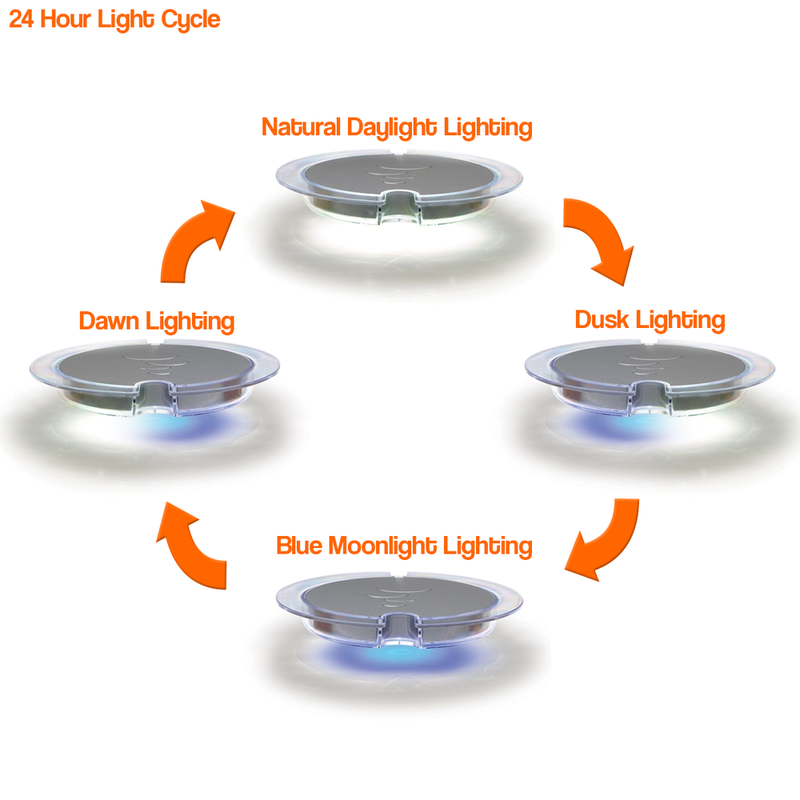 At night time, the LED light turns to a blue moonlight colour which produces a stunning effect for you to enjoy. Also featured on the LED light unit is a curved underside which helps to prevent moisture build-up, reducing the need for cleaning. LED Lighting provides an energy efficient way of lighting up your aquarium without using up a lot of electricity, and can last up to 50,000 hours of use. For a unique and stylish way of keeping fish, the BiOrb Life 45 Litre is a great all-in-one choice.